BRYAN EATON/Staff photo. 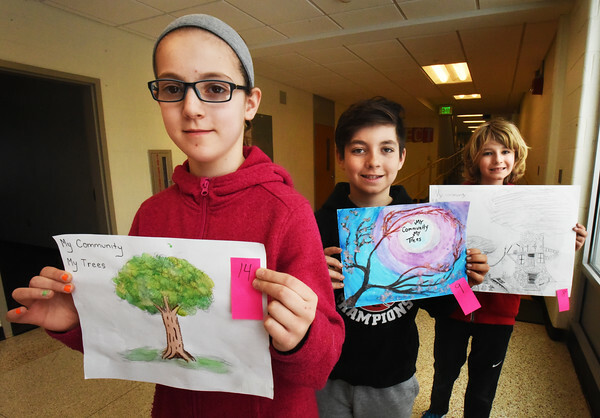 Molin Upper Elementary School students show their winning artwork in a contest called "My Community, My Trees" by the Mass. Department of Conservation and Recreation (DCR). From left, winner, Laney Schwab, 11, and runners up Mark Mosesian, 11, and Christian Field, 10.